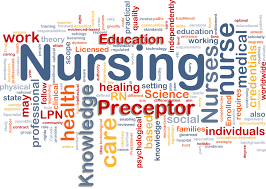 Nancy Ridenour, PhD, RN, APRN, BC, FAAN, and former Dean of the School of Nursing at Illinois State University wanted to create an endowment that would address the shortage of nurses and nurse educators by funding programs in nursing education, service and leadership. Before leaving Normal to become the Dean of the College of Nursing at the University of New Mexico, she asked Illinois Prairie Community Foundation to help her do just that.The Nursing Legacy Endowment is overseen by the Nursing Legacy Committee of the Board of the RWJENF (Robert Wood Johnson Executive Nurse Fellowships) Alumni. Distributions from the endowment are used to fund projects for nursing leadership and educational programs related to health care. If you would like to help build this endowment so that even more can be done, please donate below.